Working as a security guard requires a lot of determination, that you should be firm to follow what’s right just to keep your designated place safe. 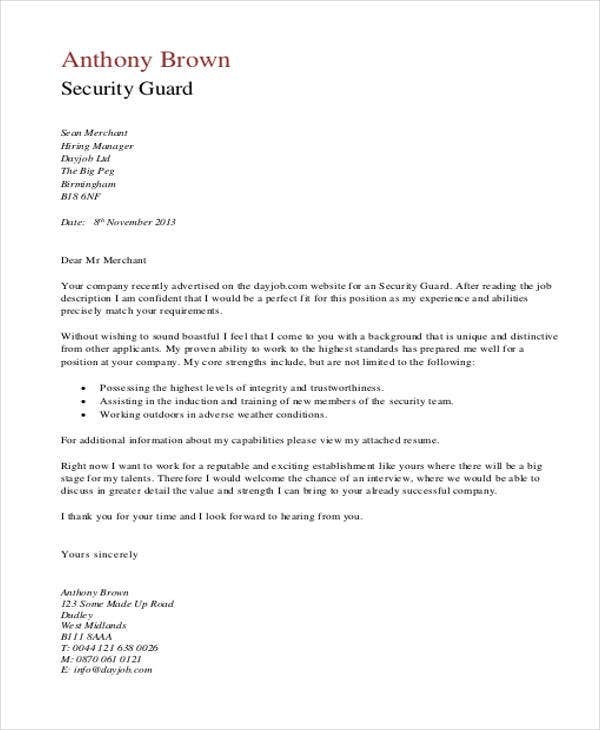 If you have the heart to work as one, you may want to look at our Cover Letter Templates for security guards. 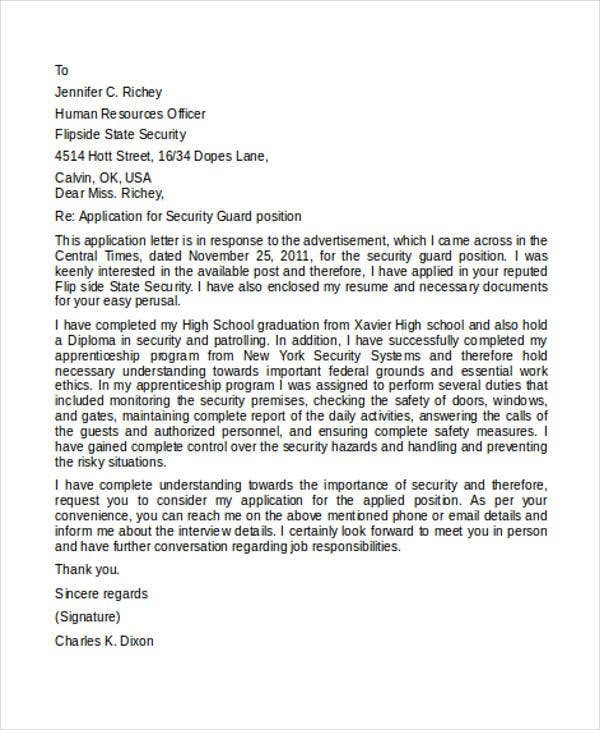 These Cover Letter Examples not only can be used as a guide to writing your own cover letter, but they can actually be used as it is and you only need to fill in the necessary information on the areas provided for you. Interested yet? Feel free to check out the samples that we have to offer. 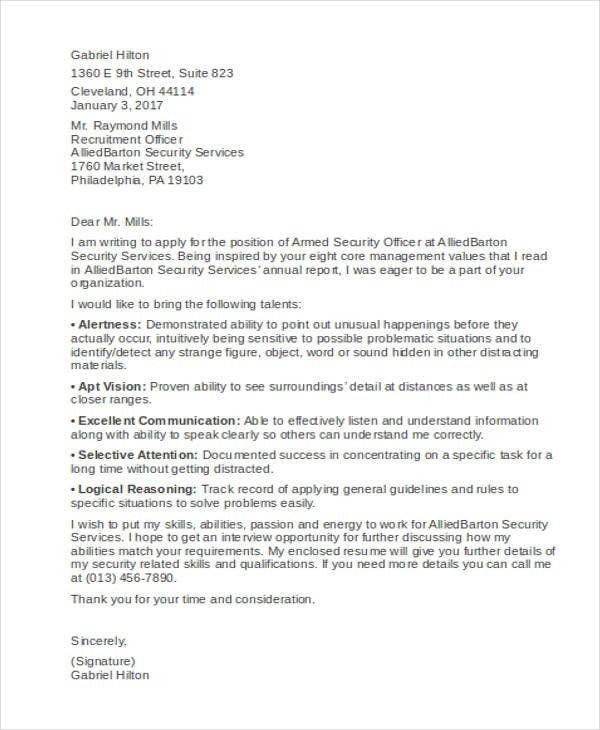 On the upper-most area of the cover letter, indicate the date the letter is written and then write your contact information as well as the employer’s. Greet the reader professionally by using “Mr./Ms.” followed by their last name. 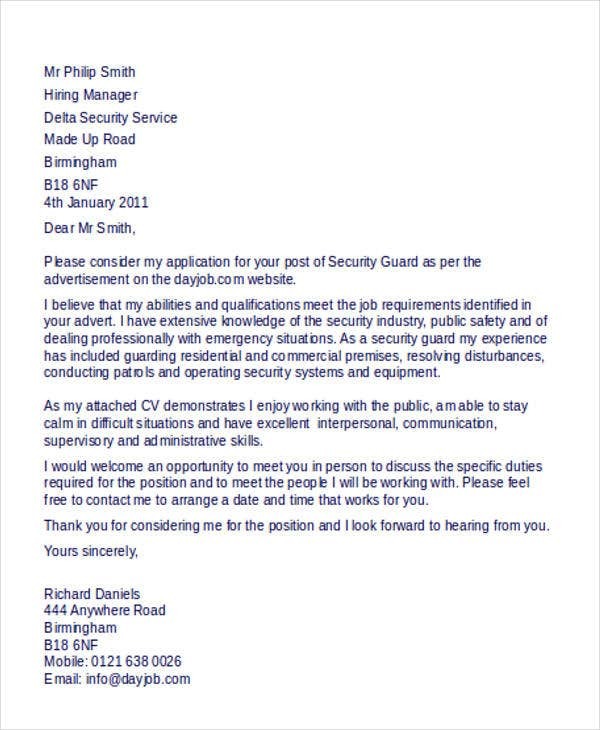 Start right away by stating that you want to apply as a security office in their company and explain why you are suitable for the position. 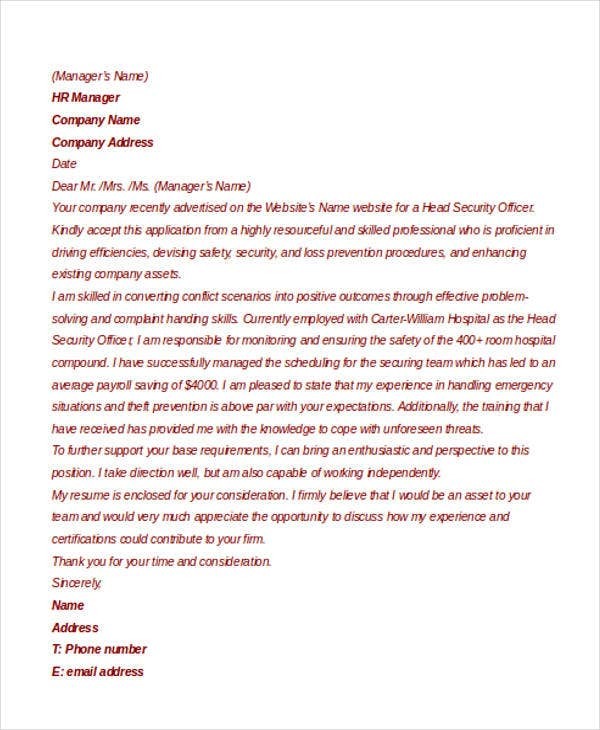 Further provide details about your experiences working as a security officer and some relevant training and certifiactions that may contribute to the strengthening of the company’s security. 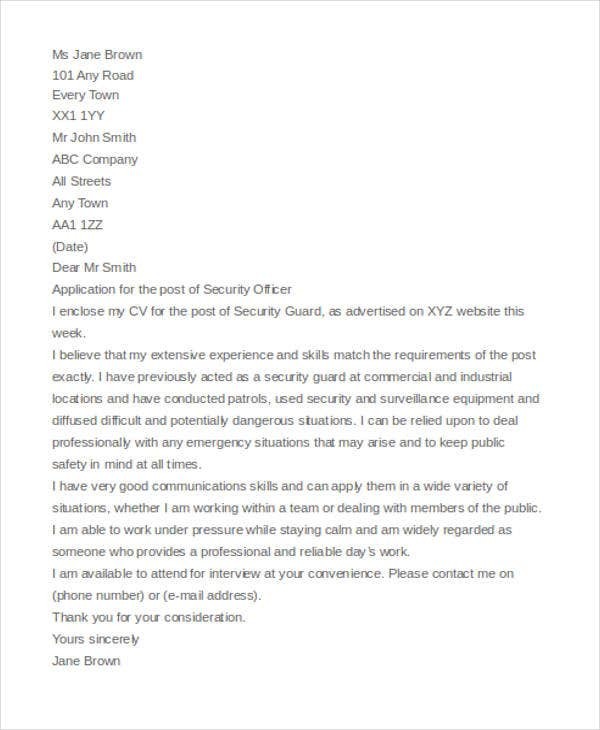 Inform the reader that you are looking forward to be interviewed and that you will also be following up if no response is heard in a week. Thank the reader for taking the time to consider your application and sign off. 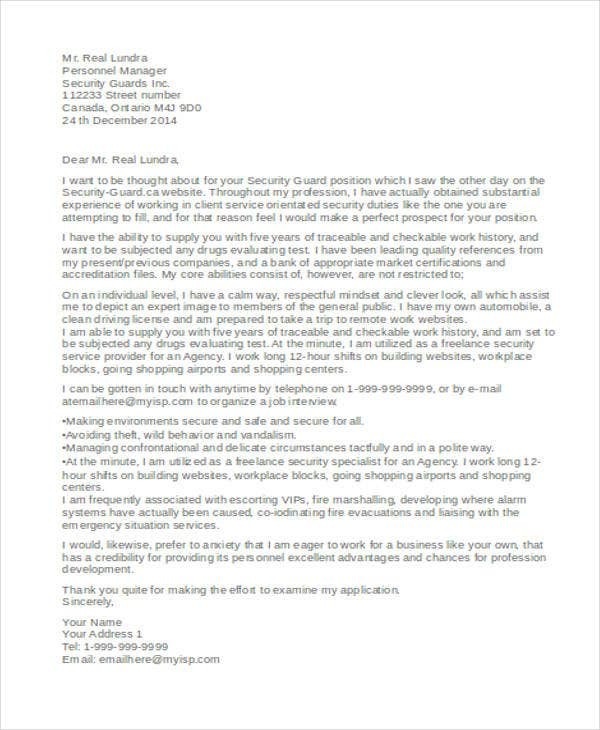 Go ahead and check out these Executive Assistant Cover Letter for more cover letter samples. Divert their attention to your objectives and what you aim to achieve in your career. Focus on experiences where you were able to practice your skills in ensuring safety or monitoring for any unusual situations. Highlight on relevant qualifications based on the job description. 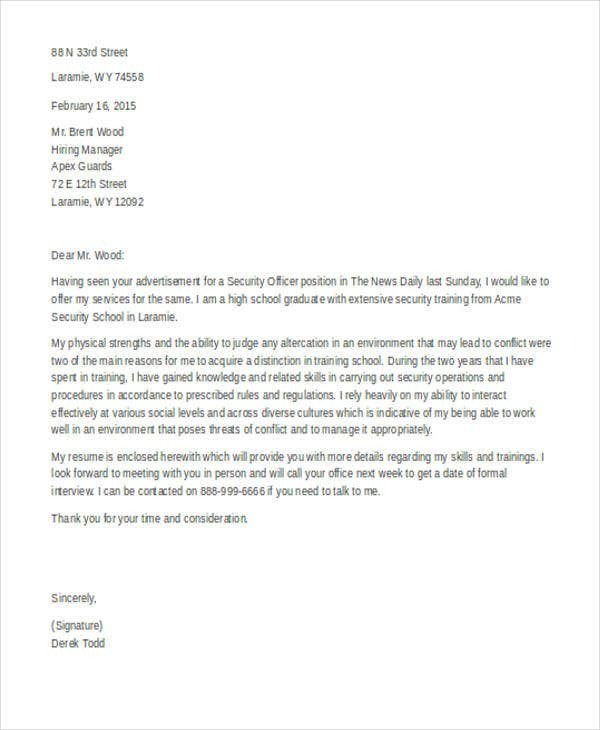 For other cover letter templates, visit Template.net’s archives of Professional Cover Letter Template and Word Cover Letters. 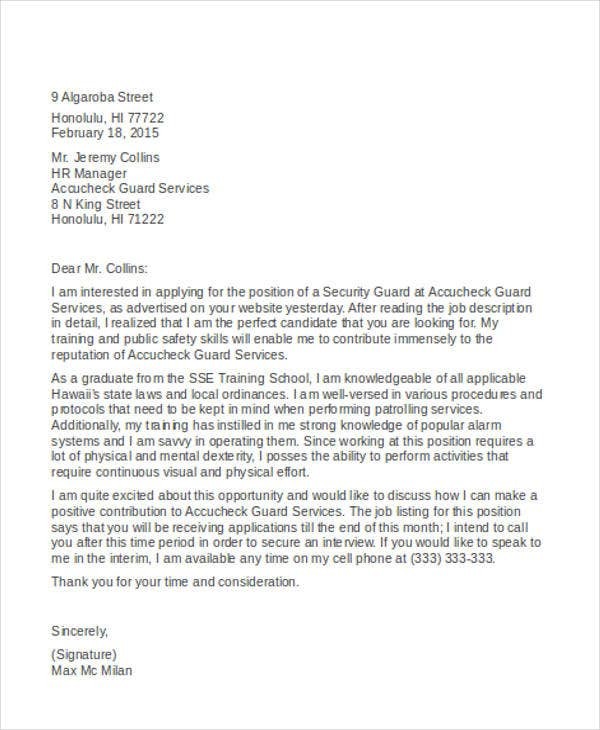 A security officer should be physically fit to be able to sustain the physical demands in doing patrols and responding to urgent situations. 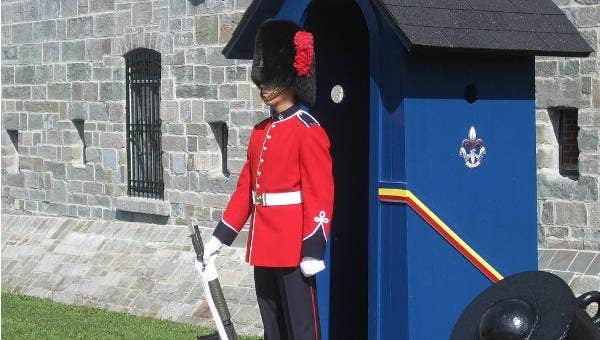 A security officer should pay close attention to detail when monitoring the surroundings to ensure safety and to determine if things get suspicious. A security office should know how to identify problems and be able to respond accordingly and appropriately to those situations. A security guard should be able to handle issues and conflicts effectively using their leadership and communication skills. 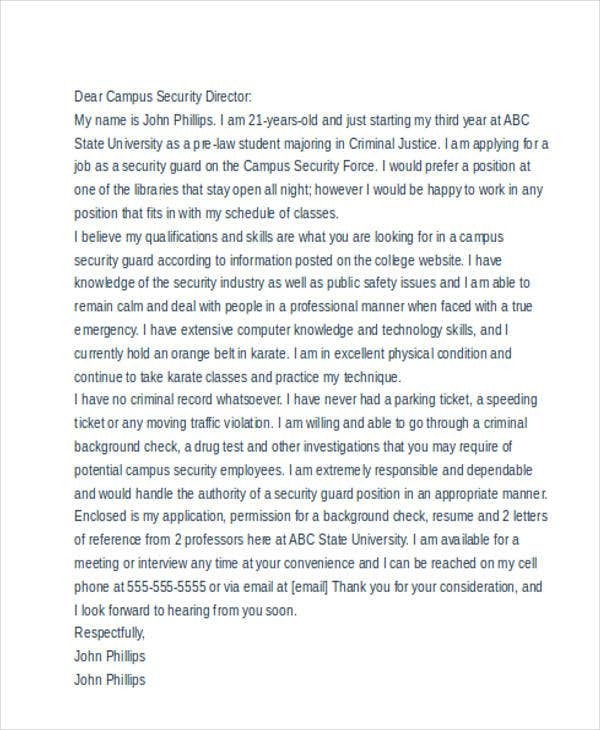 A security guard should know how to keep confidential information when they need to. For even more cover letter formats, you may also check out our collection of Employment Cover Letter Templates.